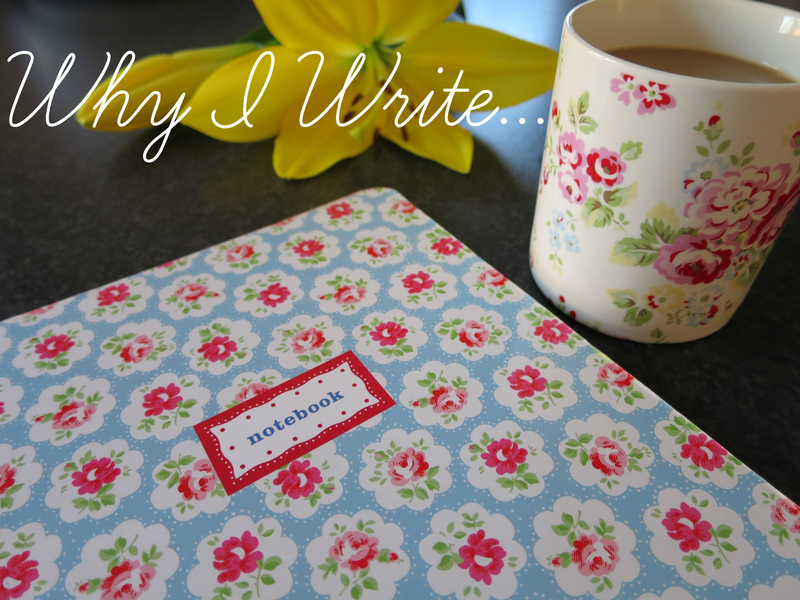 Last week, I was tagged by the lovely Bella over at Along Came Jay to do the 'Why I Write' blog hop. I hadn't hear much about this tag before, but it's a chance for bloggers to share a little bit about themselves and answer a few questions about their style, reasons for writing and inspiration. As a child, I was never big on reading. I would get bored easily, and would often let my imagination run off and create a story of my own, which is where my love of writing began. I've always had a big imagination, and with a pen in my hand I could let all those stories run free across the pages and play out the fantasy world I had created. I am an only child, so quite often I'd have to make my own make believe games, and writing became a huge part of that outlet. In school and into adulthood, I spent a lot of time reading blogs and loved seeing peoples thoughts and feelings out there for the world to stumble across. Almost like having a sneak peak in someone's diary... Which they'd obviously let you read!! Starting my own blog has been such a positive experience, especially at such an important time in my life. I love how I will have this to look back on in years to come and have been able to meet so many wonderful people by sharing my thoughts and opinions - which can be a little scary at times! I write what I do because it's what I love. 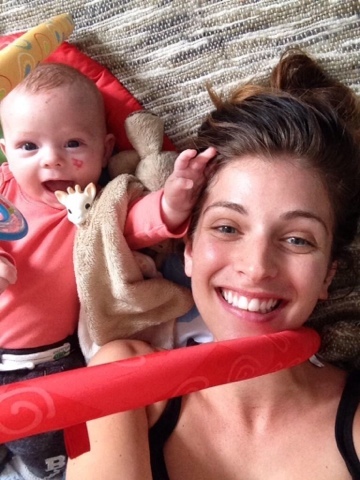 I love being a mummy, and I love sharing my journey from pregnancy to motherhood. I will write about what I feel, and am 100% honest in every post. I feel these make more enjoyable reads, as it is very obvious to see when someone's heart isn't in their writing. I usually write as I speak, rather than taking the time to make it 'flow' better. I think my writing has improved since starting my blog earlier this year, and it has been influenced by reading other blogs. I'm not sure how it differs to others... It is hard to completely stand out from other mummy bloggers, as our lives and interests are so similar. I don't think this is a bad thing at all, as it adds to what a close community the blogging world is. But hopefully you can hear my voice in my writing, and it sounds like you are speaking to a friend. My blog has taken a backseat to my new life as a mummy, but I wouldn't have it any other way. Everyone is so quick to tell you how these first few months fly by, and I don't want to miss a second of them. I am working on how to be the best mother an wife possible, and being a blogger when all these jobs are done. I blog whenever I have some free time, which isn't as often as you would think with a baby that sleeps so much! But when I do, I have mostly been writing updates on Aria's development, but have a lot more posts to upload on my experience of breastfeeding, as well as product reviews and general thoughts on life. I can't say I have a process to my writing, it is more of a 'as and when' approach! I have days where I feel totally uninspired, and others where I can't stop typing. When I do have a topic in mind, I will make notes on my iPhone, and type up when I have some free time... This has been known to be during the 3am feeds, which I tend to find quite relaxing! I hope to have more of a process in the future, when Aria has a better routine. For now, I'm happy to run with my thoughts and try and produce posts that you enjoy reading.